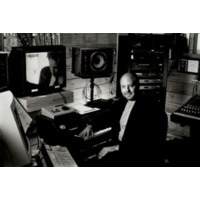 Mark Snow (born Martin Fulterman on 26 August 1946) is a prolific composer for film and television. Born in New York City, he grew up in Brooklyn, graduating from the High School of Music and Art (1964) and, afterwards, the Juilliard School of Music. He was a co-founder of the New York Rock & Roll Ensemble. Among his most famous compositions is the theme music for sci-fi television series The X-Files. The theme reached #2 in the UK Singles Chart. Snow also wrote the music for another Chris Carter series, Millennium, and the background music scores for both shows, a total of 12 seasons' worth. He also composed the score for the television movie Dirty Pictures, the series Smallville and One Tree Hill. He has also composed music for video games, such as Syphon Filter: Dark Mirror and Giants: Citizen Kabuto, as well as the music for the computer game Urban Assault. Snow has been nominated for 19 Emmy Awards and won 34 ASCAP awards. He was nominated for a César Award for his work on the film Coeurs directed by French director, Alain Resnais. Snow is also working on Resnais's next film, Les Herbes Folles.